LinkedIn provides plenty of social media marketing opportunities for small and large businesses. Not only is this social network a great platform to stay connected with colleagues but it is also an amazing tool to promote your business and to attract clients. We believe any working person should be active on LinkedIn whether you are an employee or a business owner. By expanding your professional network, more people will learn about your career aspirations and/or your company. LinkedIn members are active, engaged, and affluent. If you’re adding value consistently on LinkedIn, by default you are going to grow your network. Every new connection you make on LinkedIn can open doors for your business and/or your career. 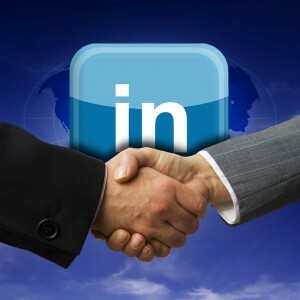 Here are a few LinkedIn tips on how to use the social medium to help your business! Add some content to your Company page, by updating your About, Careers and Products/Services. This will add value to your LinkedIn company page as the place where other LinkedIn users will go to find out about what you are selling or promoting. Do you need to get your organic visits up? Then you need to improve your LinkedIn page SEO. It’s a fact that people see this page before your website, Facebook or other social pages. LinkedIn ranks very well, so you’ll want to take advantage of niche orientated keywords to help you find valuable business connections. LinkedIn isn’t only about networking on the site, it’s also about connecting with people to network with in the real world. Attend a LinkedIn conference, workshop or event – and have your business cards ready with your LinkedIn address on it. Soon, you’ll have dozens of new connections on the platform that you’ve met in real life. If you want to target specific customers with different product messages, a good way is to place ads for your business on LinkedIn. You can also target specific audiences using demographics and geography/location. You can develop the ad, track the amount of times your ad has been viewed and get other marketing efficiency metrics to make sure your ad is having the desired effect on your bottom line, as well monitor your Cost per Click (CPC). We hope these tips help make LinkedIn work better for you. It’s more than just an online resume. Do you need help with your company’s LinkedIn page? The MARION marketing company in Houston will work with you to achieve your internet marketing goals. Call us or send us an email.